Just to flag that there will be a collection around the ground tomorrow for Prostate Cancer UK, who are now Southend’s Shirt sponsor. I’m immensely proud to be manager of Southend United and I think it’s fair to say us linking up with Prostate Cancer UK was meant to be. I’ve been an ambassador for the charity for over six years now, starting when I took up the role as Charlton Athletic manager back in 2011. 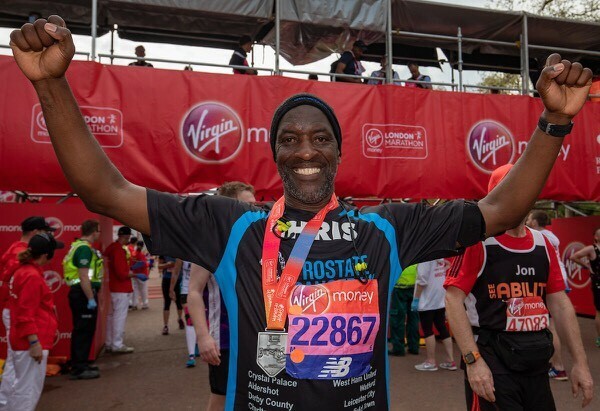 I also ran the London Marathon for them this year raising more than £14,000, so when the chairman kindly decided to make them our shirt sponsors for the 2018/19 season, I was thrilled. Over the years I’ve learned so much about this disease, and how it affects men and their families in so many different ways. There are still so many unanswered questions, but this is another milestone moment. One man dies every 45 minutes from this disease. Just think about that for a second, that’s two men every game we play. That simply has to change. That’s why there are volunteers from the charity collecting at the game today, and raising awareness. Dig in, if you can, or take some information from them. Or check their website – www.prostatecanceruk.org. It’s an incredibly important cause. I have to admit, when I saw this season’s kit for the first time, it was quite emotional for me. Seeing the logo and the man struck a real chord with me, because I know how significant this is with regards to having Prostate Cancer UK on the front of a football shirt. I know It’s been at Millwall and Scunthorpe United but we are the custodians now and that is a great feeling for me. Seeing the players wear it for the first time was a special moment. And seeing our fans walking around with it makes you feel so proud because it’s something that affects so many people, men of all different backgrounds, especially with black men, like myself, where one in four are affected. The earlier the watching public know about prostate cancer and how they can prevent it, how they can see the signals and what they can do, the better. I think we will be the bearers of knowledge for prostate cancer in Essex, that’s for sure. And people around the country will see us and ask questions about prostate cancer as well. I tell you now, we will definitely save lives. Not a life; we will save lives in this neck of the woods for sure. Just by having Prostate Cancer UK on our shirts, having messages like this in the programme, and stories of people that have survived, and getting that message out there on a regular basis. That goes for me too. A few weeks ago I caught up with Bradford City assistant manager Greg Abbott who was diagnosed just this year. His praise for us as a club was truly humbling but I admire him greatly for sharing his own story. Luton Town’s Nathan Jones also backed our work when we saw each other recently so it’s great to see my contemporaries continuing the fight. A truly wonderful man is our Chris. Prostate Cancer Research sponsored the Scunthorpe U shirt a few seasons back and raised a lot of cash for this VERY worthwhile cause ..
You just can't help but properly love Chris.